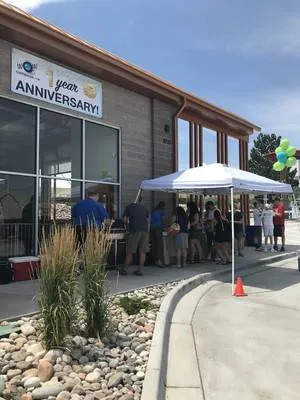 On Friday July 20, 2018, WOW Carwash of Littleton, CO celebrated its one-year anniversary with a customer appreciation BBQ. Gary Messick was the lucky recipient of the grand prize — a free year of unlimited WOW! car washes. Customers help celebrate with a bite to eat.